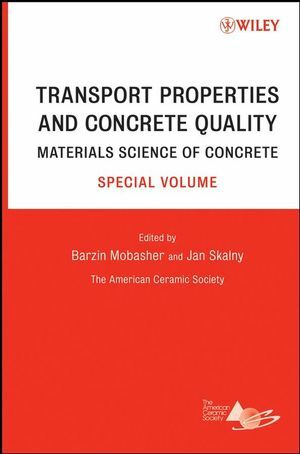 This title is based on the workshop on Transport Properties & Concrete Quality, held at the campus of Arizona State University on October 10-12, 2005. During this meeting, scientific aspects of the relevant relationships between materials, mechanisms, processes, and service life were discussed. 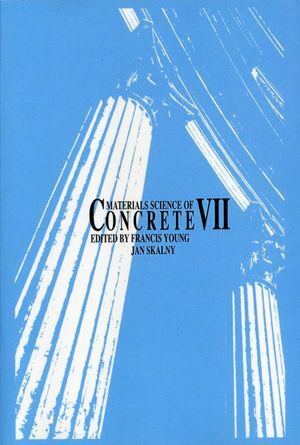 * Provides a useful resource for understanding the most valuable aspects of cement-based materials, with topics ranging from the current state of practice, to theory, simulation, and testing and specifications. 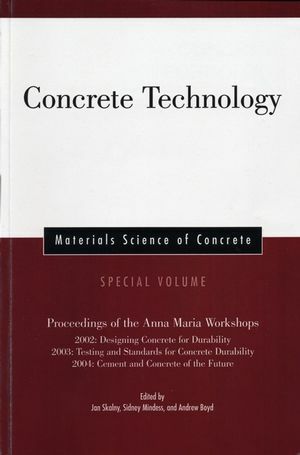 * Logically organized and carefully selected articles give insight into the need to better integrate aspects of materials science, mechanics, modeling, and testing in developing tools of understanding the durability in cement-based materials. Barzin Mobasher is a professor at Arizona State University in the Department of Civil and Environmental Engineering. His research focuses on understanding the interaction of materials science, mechanics of solids, and structural analysis and design. He is interested in constitutive modeling of materials, durability of cement based materials, composites, fracture mechanics, experimental stress analysis, steel structures, and biomechanics. Jan P. Skalny studied chemical engineering at Slovak Technical University (STU) in Bratislava and at the University for Chemical Technology (VSCHT) in Prague, where he graduated in 1958. He received his PhD (chemical/ceramic engineering) at the University of Mining & Metallurgy in Krakow (1965). In 1967 he left for the United Kingdom and in 1968 he settled with his family in the United States. After a short stay at the Clarkson University in upstate New York (1968-69), he focussed his career on industrial research management. He became Associate Director of Martin Marietta Laboratories and construction materials research director for W. R. Grace & Co. After early retirement in 1991, he became a consultant and is presently President of Materials Service Life, a high-tech consulting company specializing in service life prediction of concrete-based infrastructure. Ten Observations from Experiments to Quantify Water Movement and Porosity Percolation in Hydrating Cement Pastes. Alkali Silica Reactivity of Silica Fume Agglomerates. Mitigation of Alkali Silica Reaction: A Mechanical Approach. Experimental Studies and Parallel Computing on Coupled Moisture and Chloride Diffusion in Concrete. Direct Phase-Resolved Strain Measurements in Cementations Materials. Calcium Silicate Hydrate (C-S-H) Solid Solution Model Applied to Cement Degradation Using the Continuum Reactive Transport Model Flotran. Chemo-Physical and Mechanical Approach to Performance Assessment of Structural Concrete and Soil Foundation. Restraint and Cracking During Non-Uniform Drying of Cement Composites. A Simulation Model of the Packing Arrangements of Concrete Aggregates. Modeling of Stiffness degradation and Expansion in Cement Based Materials Subjected to External Sulfate Attack. Using Monte Carlo Analysis to Quantify How the Number and Arrangement of Sensors Influence the Accuracy of an In Situ Sensing System. Role of In situ Testing and Monitoring in Assessing the Durability of Reinforced Concrete. Influence of Production Method and Curing Conditions on Chloride Transport, Strength and Drying Shrinkage of Trernary Mix Concrete.